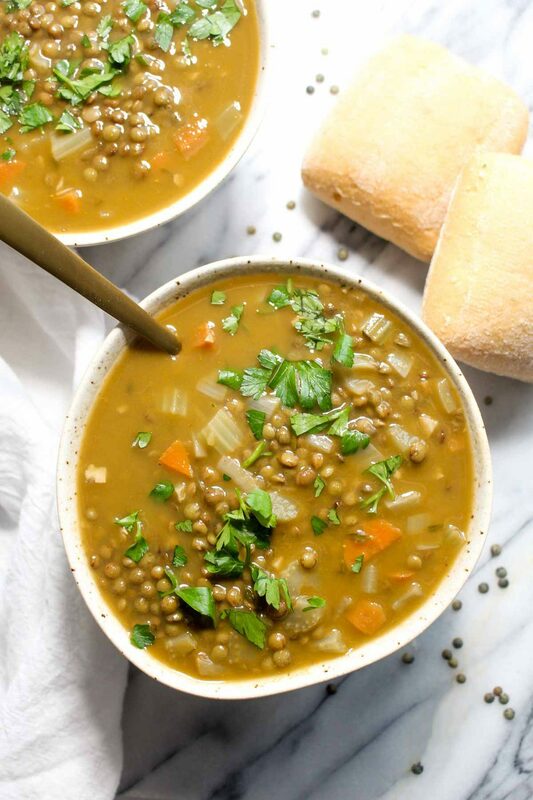 This healthy Detox Lentil Soup is jam packed with both nutrients and flavor. A super easy recipe with just two steps, one pot and a simple ingredient list. In a large soup pot, heat the oil over medium-high heat. Add in the carrots, celery, onion, salt, and pepper. Saute until the vegetables are softened and the onions are translucent, about 5-7 minutes. Add in the garlic and sauté for another 30 seconds. Add in broth, lentils, bay leaves, and thyme. Bring to a simmer and simmer for 30 minutes. Remove from the heat and add in the parsley. Serve.